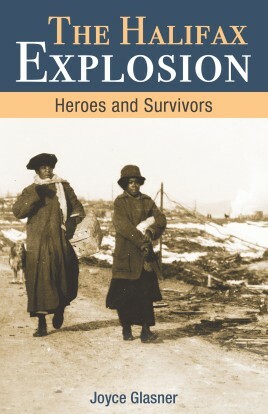 The Halifax explosion was unprecedented in its devastation with regards to casualties, force and radius of the blast, and widespread damage to property.This book offers a collection of carefully selected visuals that tell the story of the devastation caused by the explosion and the impact it had on Halifax. Joyce Glasner focuses on the impact of this wartime disaster on the thousands of survivors. JOYCE GLASNER is the author of Pirates and Privateers: Swashbuckling Stories from the East Coast and Christmas in Atlantic Canada. Her essays and stories have been published in several periodicals and anthologies. She lives in Halifax, Nova Scotia.